Are you setting expectations - and delivering on them? Ever heard of such a thing? I hadn't. Until I went into the grocery store the other day and saw it in the produce department. I read the description: "Tropically tangy, yet still sweet. Notes of cherry, raspberry, or cranberry" and thought, "Well, that sounds interesting!" But was it? Does what's on the outside match what's on the inside? And vice versa? Does your description of your culture match what your employees are living? Does your culture match what you're telling the world? Does it sound better than what it actually is? Is yours a culture of transparency? Are you living your values - or just talking about them? Are your employees living your brand promise? Does your reality match customer perception? Does your employee experience drive your customer experience? Do your actions match your words? Do they speak louder? Does what people know about you mask what's really happening on the inside? Or is it representative? Do you assume that your employees know what's expected of them? Do you set expectations, only to fall short? Are you selling what you're advertising? Do you assume that you're meeting employee or customer expectations? Or do you ask? You know what happens when you assume, right? 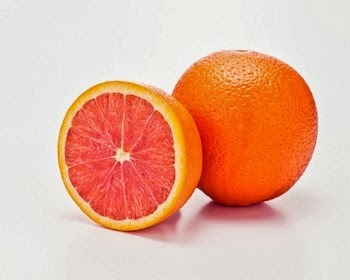 O, and that pink orange. Well, let's just say that they missed a few notes. On a slight tangent, I sometimes think that if we just focused on making our orange taste like an orange (and didn't try to tart it up) the world would be a better place. I've tried some of those oranges and think they are worth persisting with. I really like your last quote from Asimov: "Your assumptions are your windows on the world. Scrub them off every once in a while, or the light won't come in." We all make assumptions about most things. However, problems often arise when we don't acknowledge what they are or even realise we are making assumptions. ...Or that our assumptions are based on how things were, rather than how they are now.